Guo Ping's comments came as Huawei Technologies Ltd., the biggest global maker of network equipment for phone and internet companies, announced last year's sales surpassed $100 billion despite US pressure on American allies to shun it as a security threat. 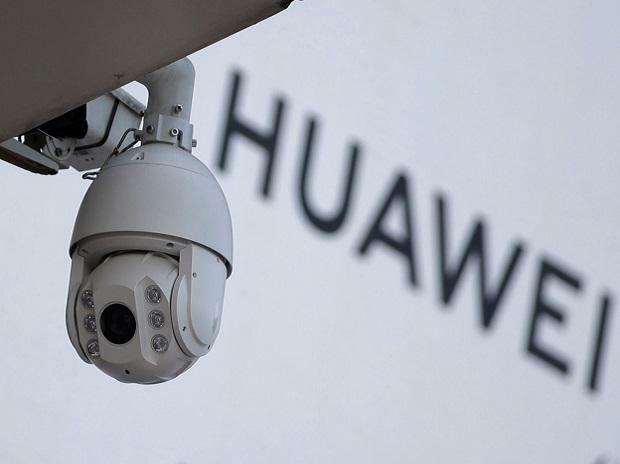 Britain's National Cyber Security Center added criticism Thursday on a different front, accusing Huawei of "poor software engineering." The agency said in a report British researchers saw no sign that was due to Chinese government interference, but it said Huawei had not repaired flaws that might make its systems vulnerable to cyber attacks. regulators will "increase their confidence" in Huawei over time. Huawei is at the centre of US-Chinese tensions over technology and accusations of cyber-spying and violating trade sanctions on Iran. The company's chief financial officer was arrested in December in Canada on US charges of lying to banks about dealings with Iran. Beijing has detained two Canadians and blocked imports of canola from Canada in what is widely seen as an attempt to compel her release. Huawei's US market evaporated after a 2012 congressional report labelled the company a security threat, but sales elsewhere grew rapidly. Huawei passed Apple last year as the No. 2 global smartphone brand behind Samsung and earlier passed Ericsson as the No. 1 network gear seller. Australia, Japan and Taiwan have imposed curbs on the use of Huawei technology, but Germany, France and other governments are baulking at US demands to exclude it from 5G networks. Carriers complain that would reduce competition, raise prices and delay the rollout of 5G service. Huawei has opened testing centres in Britain, Germany and Belgium for regulators to examine its products. "We welcome the European Union's attitude," said Guo. "They do not discriminate against vendors from any country." Chinese officials and some industry analysts have suggested the Trump administration might be exaggerating security concerns to hinder a competitor to US tech brands. Huawei's founder, Ren Zhengfei, told reporters earlier this year the latest US criticism had yet to hurt sales. But Guo said Friday the company has to spend more time talking to potential customers "to address their concerns." Despite that, Huawei's sales last year rose 19.5 per cent over 2017 to 721.2 billion ($105.2 billion), according to Guo. That was driven by double-digit gains for its consumer and enterprise units, while sales of network gear to phone and internet carriers were unchanged at 294 billion yuan ($62.3 billion). Profit rose 25.1 per cent to 59.3 billion yuan ($8.6 billion). Huawei denies US accusations it is controlled by China's ruling Communist Party and says it is owned by about half the members of its 180,000-strong workforce. The company has no publicly traded shares but started issuing annual financial reports a decade ago in an attempt to appear more open and mollify Western security concerns. Guo said global sales for the first two months of 2019 rose by more than 30 per cent from a year earlier. Ren, the company founder, said earlier this year's revenue target is $125 billion. Huawei is asking a US federal court in a lawsuit filed this month to throw out a law that bars the Trump administration and government contractors from using its equipment. The company says that improperly punishes the company without giving it away to defend itself. The company's chief legal officer, Song Liuping, said he had no updates on the lawsuit. "We believe the US court will give us a fair judgment," said Song at the news conference with Guo.